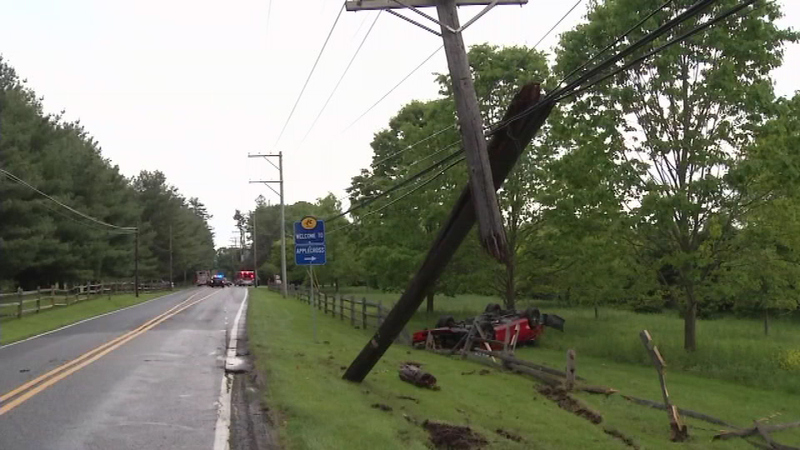 A teenager was injured after crashing into a utility pole in Talleyville, New Castle County. TALLEYVILLE, Del. (WPVI) -- A teenager was injured after crashing into a utility pole in Talleyville, New Castle County. 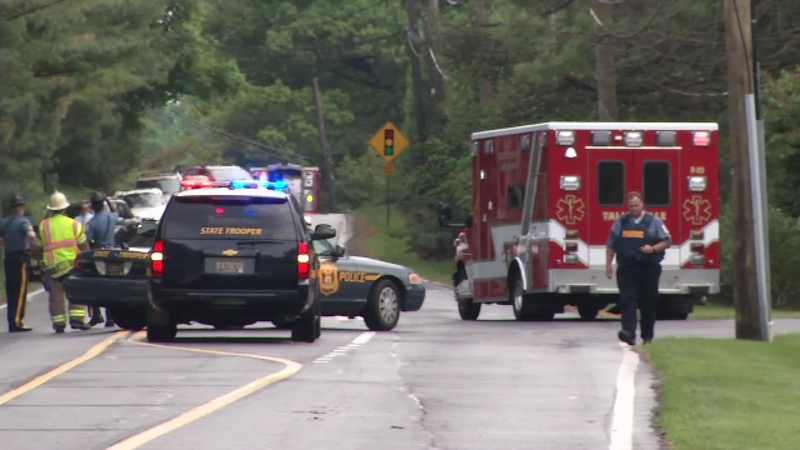 The crash occurred around 4:30 p.m. Monday near the intersection of Route 100 and Buck Road. 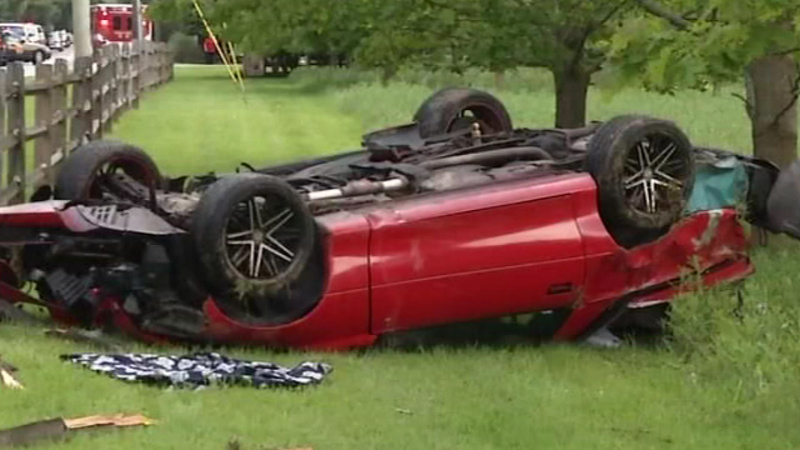 Police tell Action News the teen driver lost control of his sports car, crashed into a utility pole, and flipped the vehicle upside down. The impact caused the pole to split bringing wires down and blocking the roadway. Action News is told there is a small power outage in the area because of the crash. The victim was being treated on scene for his injuries.